Every student can succeed – every student can thrive. We know this. We know that in order for students to thrive the School must understand them as learners, respect them as people, and commit the resources necessary to support them throughout their education. The curriculum at The Ratner Montessori School is designed to enable multiple points of entry, and to allow for students to progress through it at differing rates. Our faculty design units and projects that can challenge students in different ways and at different levels. Review all educational diagnostic testing to make sure the School has a clear understanding of every student’s needs and abilities. Provide testing if there are gaps we perceive in existing testing. Create a Ratner Learning Plan for every student who needs one. These plans guide the classroom teachers in their work with students and clarify for all the accommodations provided for each student. Review Ratner Learning Plans with parents/students and with teachers. Provide school counseling services to student, parents and teachers. At The Ratner School, we provide school counseling services that fulfill the American School Counseling Association’s domains in academic, personal/social, and career development. • Consists of three or more students who struggle with the same concern that may benefit from learning from others within a group. • May last from 20 minutes to 1 hour in length. • Examples of group counseling topics may include: study and organizational skills, self-esteem, grief, divorce, relationship and friendship skills. • The School Counselor collaborates with the Ratner staff, parents, and students to implement school-wide programs that benefit the Ratner community as a whole, to foster a climate that promotes Ratner’s core values. • The School Counselor is an advocate for the parent and for the school, to help and support parents whose children may have Learning Plans, IEPS, or are in need of extra assistance, strategies, and interventions to support their child at school. The School Counselor collaborates with other school and community professionals to design strategies to enhance student development. If your child needs further support, the School Counselor has additional resources to refer you to. • The School Counselor supports teachers who have students that may struggle academically, emotionally, behaviorally, or socially. • Classroom-wide instruction to instill and teach the children Ratner’s core values, to help them to further contribute to the school-wide community. 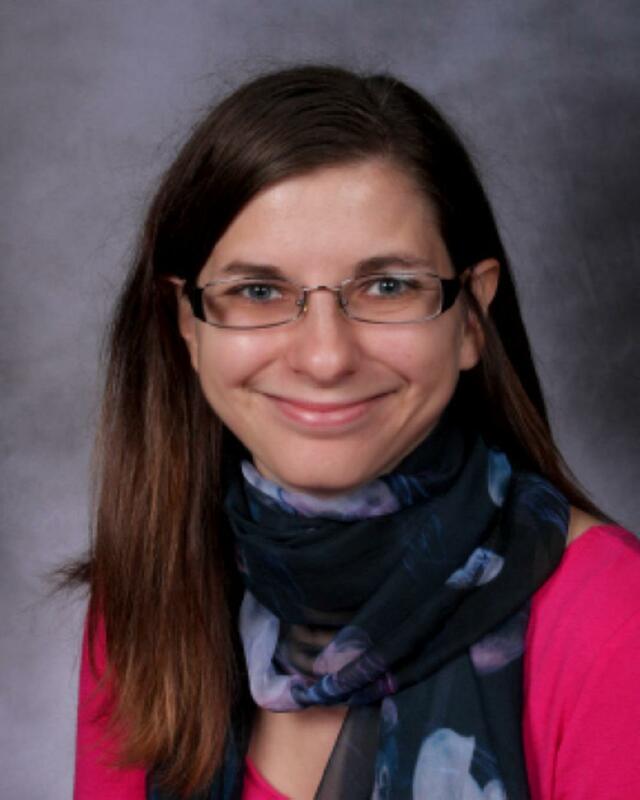 Kate Nagy holds a Master’s degree of Education in School Counseling from John Carroll University and hold a Bachelor’s degree in Special Education from Kent State University. Kate joined Ratner in 2017, bringing experience in counseling, case management, and special education intervention for students in Kindergarten through 8th grade.